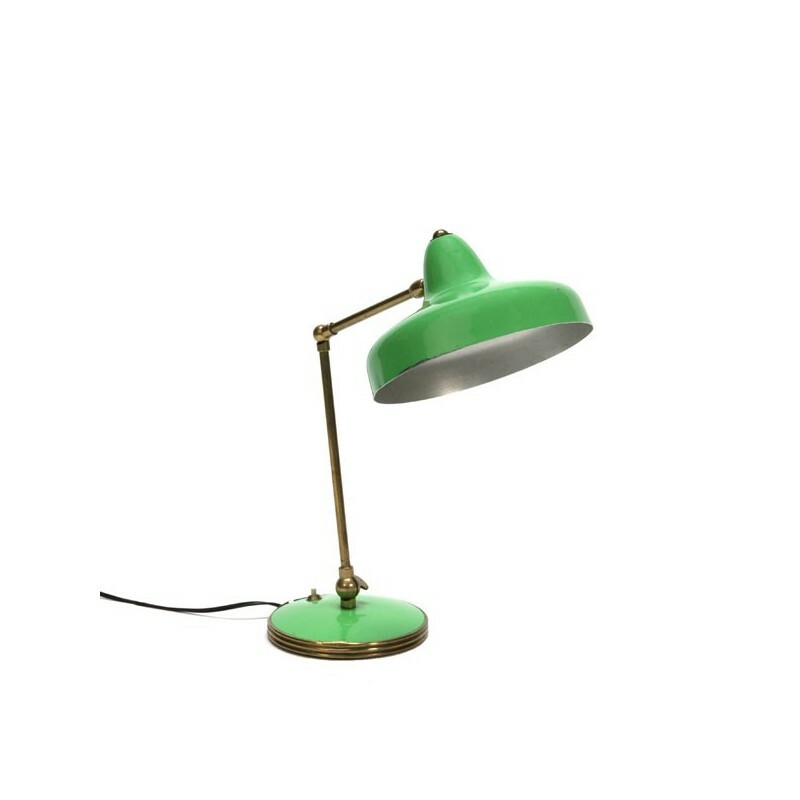 Vintage table lamp from the fifties. Most likely from Italy. 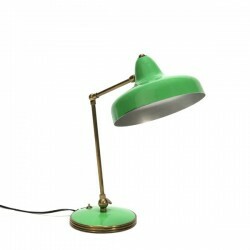 Beautiful green color shade and base and brass-colored finish. 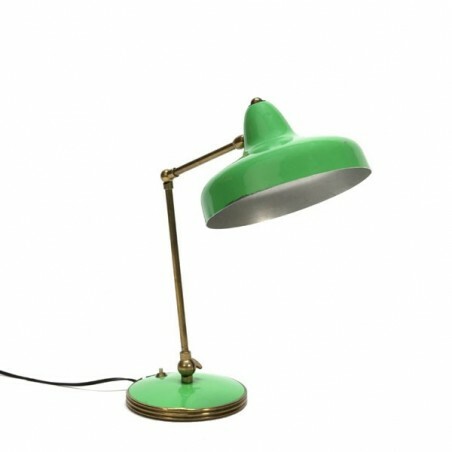 The lamp is in a reasonable condition considering its age, there are traces of use, see the detail photos. The dimension is up to 45 cm high and the shade is 20.5 cm in diameter.